Not a lot of reading time last week, but we did get the garage cleaned out, the garden shed organized, and everything ready for winter. And just in time for a record breaking snow fall yesterday. It’s supposed to warm up tomorrow, and I won’t be sad to see it all melt away! Nothing in my mailbox last week, but I did receive a new audiobook. 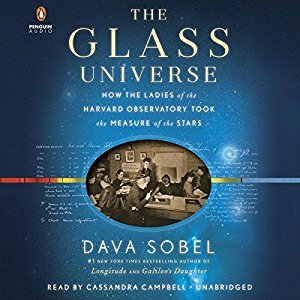 The Glass Universe: How the Ladies of the Harvard Observatory Took the Measure of the Stars by Dava Sobel from Penguin Audio. The true story of the women working in the Harvard College Observatory from the late 1800s through the mid-1900s and their unexpected and remarkable contributions to astronomy. Ooh, that sounds like something I’d love. Sounds good! 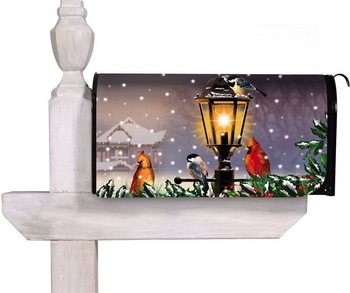 Enjoy…and I love your Christmas mailbox. Sounds like an entertaining audio book!